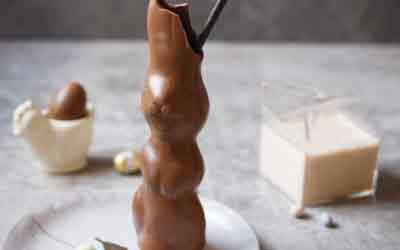 Chocolate Easter Bunnies were designed to be filled with something, in my opinion – and a seriously boozy milkshake sounds like just the thing! 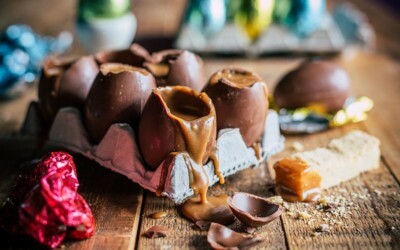 !These Millionaire Shortbread Easter Eggs look like breakfast, right? Egg-cept they’re loaded with salted caramel sauce and served with buttery shortbread dippers! 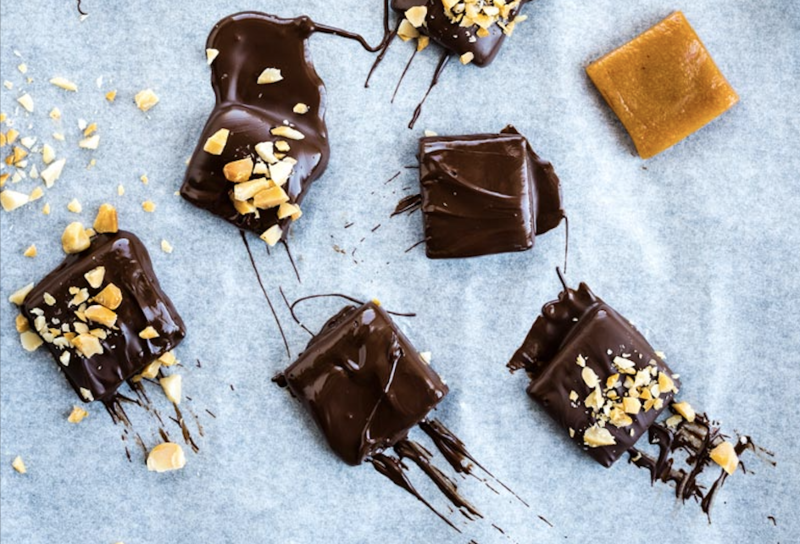 The only thing more delicious than the combination of maple syrup, Brazil nuts and chocolate in these toffees is their luscious, chewy texture. 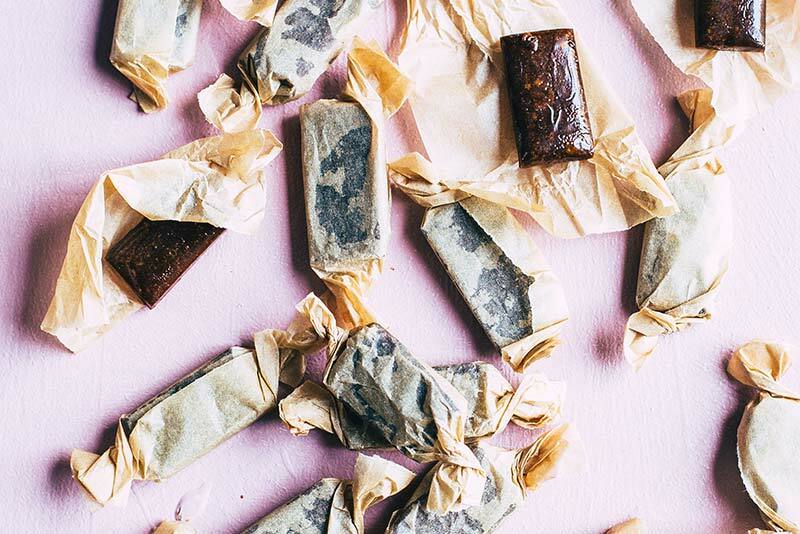 These chewy toffees are made with dark muscovado sugar which gives the sweets a rich, dark molasses flavour. I also share my tips to perfecting toffee and what dark muscovado sugar really is. 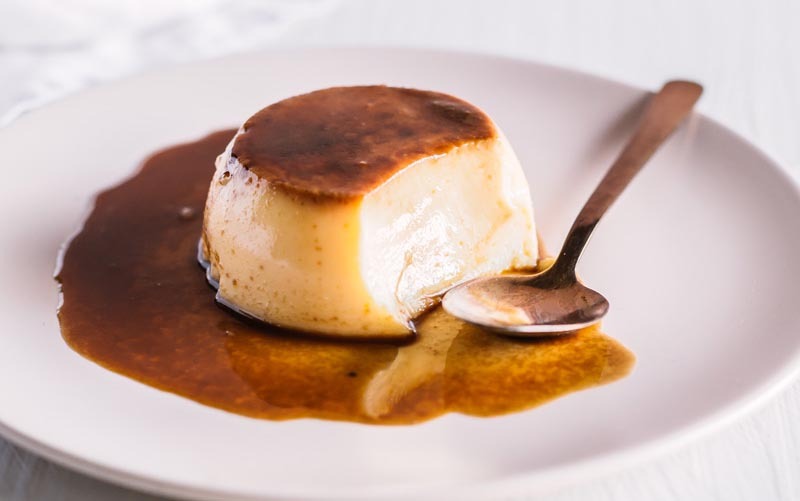 Forget the caramel, this cheats version of the traditional crème caramel has a clever shortcut which means less work, less waiting and it makes it even more delicious! 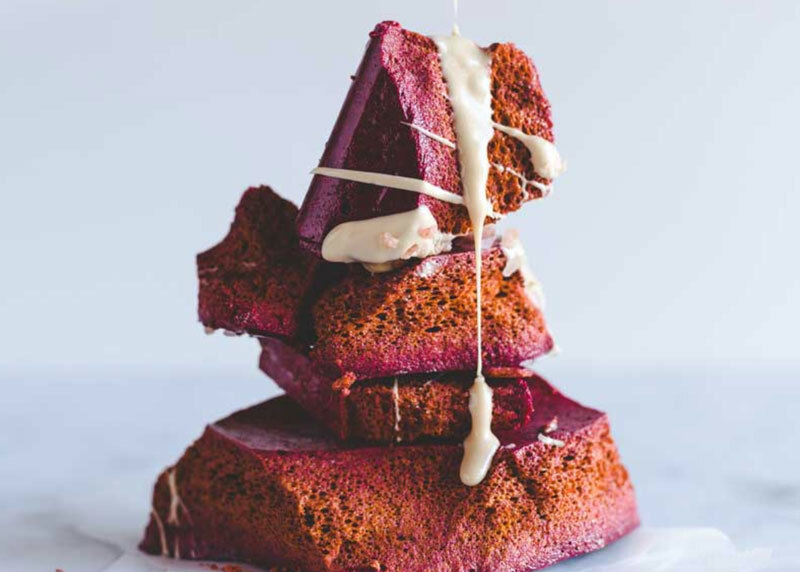 Get tips and tricks to making the perfect honeycomb with this easy beetroot honeycomb recipe – it’s crunchy, earthy, not too sweet oh-so-pretty!